A new seasonal and annual dataset describing Arctic sea ice extents for 1901–2015 was constructed by individually re-calibrating sea ice data sources from the three Arctic regions (North American, Nordic and Siberian) using the corresponding surface air temperature trends for the pre-satellite era (1901–1978), so that the strong relationship between seasonal sea ice extent and surface air temperature observed for the satellite era (1979-present) also applies to the pre-satellite era. According to this new dataset, the recent period of Arctic sea ice retreat since the 1970s followed a period of sea ice growth after the mid-1940s, which in turn followed a period of sea ice retreat after the 1910s. Arctic sea ice is a key component of the Arctic hydrological cycle, through both its freshwater storage role and its influence on oceanic and atmospheric circulation. Therefore, these new insights have significance for our understanding of Arctic hydrology. Siehe auch Beiträge auf WUWT. und Climate Etc. Abbildung 1: Entwicklung der arktischen Meereisbedeckung während der vergangenen 120 Jahre. Aus Connolly et al. 2017. We present a new version of the sea ice concentration component of the Met Office Hadley Centre sea ice and sea surface temperature data set, HadISST.2.1.0.0. Passive microwave data are combined with historical sources, such as sea ice charts, to create global analyses on a 1° grid from 1850 to 2007. Climatology was used when no information about the sea ice was available. Our main aim was to create a homogenous data set by calculating and applying bias adjustments using periods of overlaps between the different data sources used. National Ice Center charts from 1995 to 2007 have been used as a reference to achieve this. In particular, large bias adjustments have been applied to the passive microwave data in both the Antarctic and Arctic summers. Overall, HadISST.2.1.0.0 contains more ice than HadISST1.1, with higher concentrations, shorter marginal ice zones, and larger extents and areas in some regions and periods. A new method for estimating the concentrations within the ice pack using the distance from the ice edge has been developed and evaluated. This was used when only the extents were known or the original concentration fields were heterogeneous. A number of discontinuities in the HadISST1.1 record are no longer found in HadISST.2.1.0.0. Ergebnisse werden im Abstract seltsamerweise nicht genannt. Ein Blick in das Paper (das pdf ist kostenlos herunterladbar) bringt Aufklärung: Die von Connolly et al. 2017 erarbeiteten Trends scheinen im offiziellen Datensatz des Hadley Centres zu fehlen. Das ist bedenklich, denn der Datensatz wird zum Abgleich mit Modellierungen verwendet. Insofern werden die Modellierungsergebnisse möglicherweise mit einem falschen “Messdatensatz” verglichen, was bedenklich wäre. Foto: Greenland Travel. Nutzung mit freundlicher Genehmigung. A new long-term data record of Fram Strait sea ice area export from 1935 to 2014 is developed using a combination of satellite radar images and station observations of surface pressure across Fram Strait. This data record shows that the long-term annual mean export is about 880 000 km2, representing 10 % of the sea-ice-covered area inside the basin. The time series has large interannual and multi-decadal variability but no long-term trend. However, during the last decades, the amount of ice exported has increased, with several years having annual ice exports that exceeded 1 million km2. This increase is a result of faster southward ice drift speeds due to stronger southward geostrophic winds, largely explained by increasing surface pressure over Greenland. Evaluating the trend onwards from 1979 reveals an increase in annual ice export of about +6 % per decade, with spring and summer showing larger changes in ice export (+11 % per decade) compared to autumn and winter (+2.6 % per decade). Increased ice export during winter will generally result in new ice growth and contributes to thinning inside the Arctic Basin. Increased ice export during summer or spring will, in contrast, contribute directly to open water further north and a reduced summer sea ice extent through the ice–albedo feedback. Relatively low spring and summer export from 1950 to 1970 is thus consistent with a higher mid-September sea ice extent for these years. Our results are not sensitive to long-term change in Fram Strait sea ice concentration. We find a general moderate influence between export anomalies and the following September sea ice extent, explaining 18 % of the variance between 1935 and 2014, but with higher values since 2004. Klimamodellierer sind noch immer ziemlich ratlos, wie es zu den Meereis-Zyklen kommen kann. Sie bekommen die Ozeanzyklen wie AMO, NAO und AO nicht in die Modelle hinein. Zudem unterschätzen sie den Einfluss der Sonne. Dabei kommt es zu echten Stilblüten wie im Juli 2017 als Gagné et al. das arktische Meereiswachstum zwischen 1940 und 1975 als Folge anthropogener Aerosole interpretieren. Das ist natürlich Quatsch, da sich das solare Minimum in den 1970er Jahren sowie die Ozeanzyklen viel eher als Erklärmöglichkeit anbietet. Aus politischen Gründen kann man der Sonne aber keinen Stich gönnen. Man darf also gespannt sein, wie lange sich die Modellierer diesen Holzweg noch leisten können, bis alles in sich mit tösendem Gelärme zusammenbricht. Palynological, geochemical, and physical records were used to document Holocene paleoceanographic changes in marine sediment core from Dease Strait in the western part of the main axis of the Northwest Passage (core 2005-804-006 PC latitude 68°59.552′N, longitude 106°34.413′W). Quantitative estimates of past sea surface conditions were inferred from the modern analog technique applied to dinoflagellate cyst assemblages. The chronology of core 2005-804-006 PC is based on a combined use of the paleomagnetic secular variation records and the CALS7K.2 time-varying spherical harmonic model of the geomagnetic field. The age-depth model indicates that the core spans the last ∼7700 cal years B.P., with a sedimentation rate of 61 cm ka−1. The reconstructed sea surface parameters were compared with those from Barrow Strait and Lancaster Sound (cores 2005-804-004 PC and 2004-804-009 PC, respectively), which allowed us to draw a millennial-scale Holocene sea ice history along the main axis of the Northwest Passage (MANWP). Overall, our data are in good agreement with previous studies based on bowhead whale remains. However, dinoflagellate sea surface based reconstructions suggest several new features. The presence of dinoflagellate cysts in the three cores for most of the Holocene indicates that the MANWP was partially ice-free over the last 10,000 years. This suggests that the recent warming observed in the MANWP could be part of the natural climate variability at the millennial time scale, whereas anthropogenic forcing could have accelerated the warming over the past decades. We associate Holocene climate variability in the MANWP with a large-scale atmospheric pattern, such as the Arctic Oscillation, which may have operated since the early Holocene. 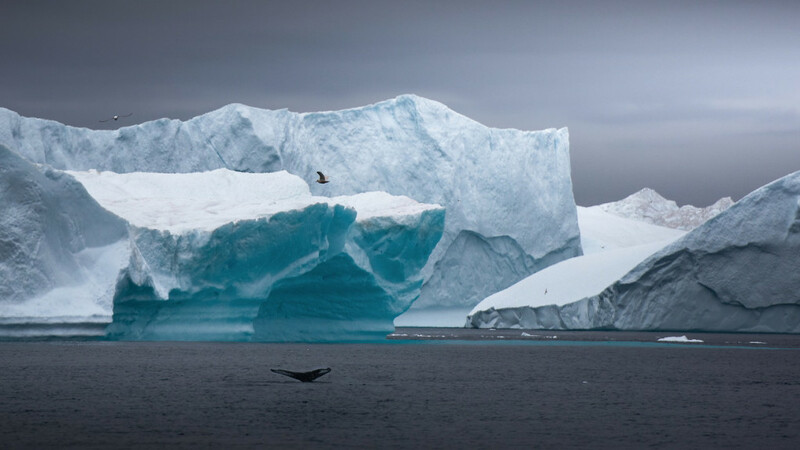 In addition to a large-scale pattern, more local conditions such as coastal current, tidal effects, or ice cap proximity may have played a role on the regional sea ice cover. These findings highlight the need to further develop regional investigations in the Arctic to provide realistic boundary conditions for climatic simulations. 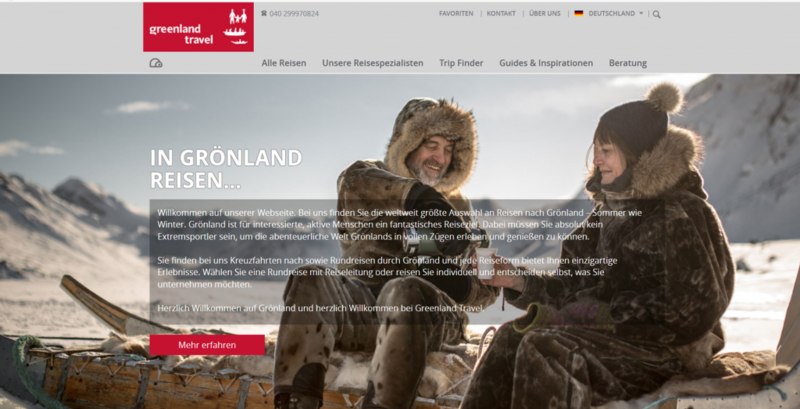 Übrigens: Wer sich von der Arktis selber ein Bild machen möchte, der kann auf der deutschsprachigen Seite von Greenland Travel tolle Reisepakete nach Grönland finden. Ist nicht ganz so weit und teuer wie die Anarktis und ein toller Einstieg in diese faszinierende Region.